More than 30 Nordhavns are set to converge on the small coastal town of Petersburg, Alaska next weekend as the owner-driven Nordhavns 2 Alaska – or N2AK – gets underway. Boats coming from as far as Australia and South Africa will spend three days in the area known as “Little Norway” to celebrate all things Nordhavn. This month marks an incredible time for Nordhavns as owners on two different models both attempt to set Nordhavn records. Besides being an exceptionally captain maintained yacht, Avedan has served as the muse for many current new-build Nordhavns. Owners love the modern, light feel of Avedan’s interior, her horizontal grain woodwork and contemporary features. 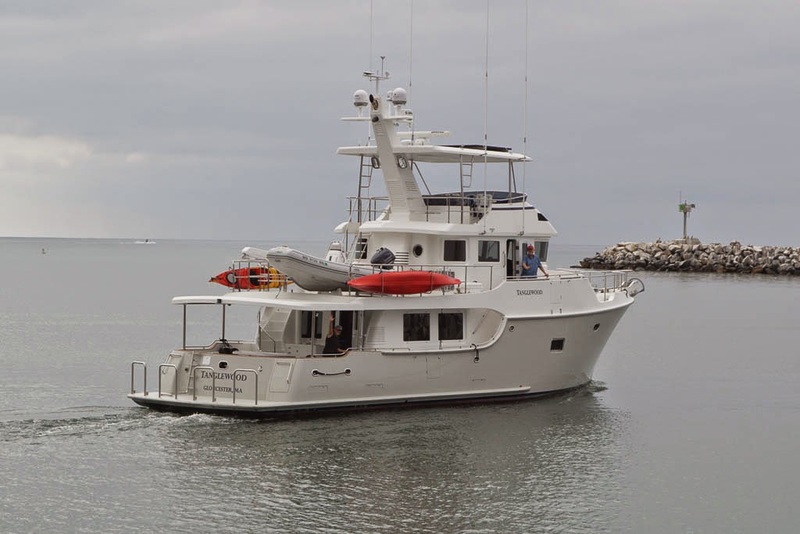 In fact, PAE’s design team based the interior of their new Nordhavn 59 Coastal Pilot on the look and feel convey Avedan’s comfortably luxurious accommodations.